Bonjour! Comment allez-vous? How are you today? I'm sharing today and tomorrow a couple of cards I did using Wow! embossing powders together with the Honey Bee stamps. They were done at the same time as the one I did for the blog hop (link), but left in the drafts. 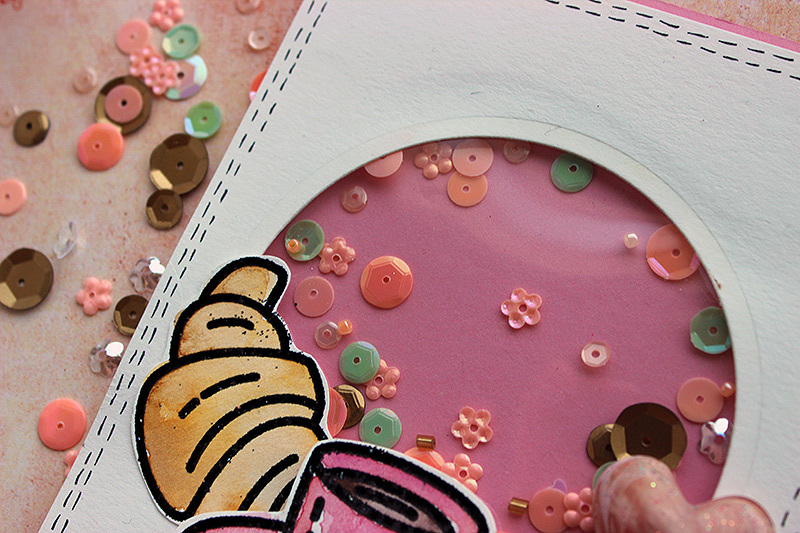 This pinkish sweet thing is a shaker card like the mermaid one I did for the hop. 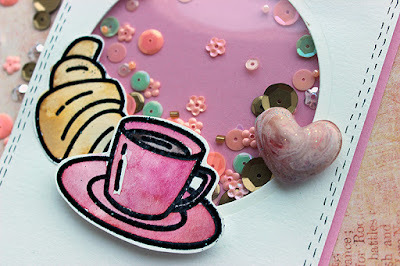 The cup and the croissant are from the "Tea time" stamp set. I stamped them using Wow! ink and then embossed with black. I colored the goodies using watercolors. 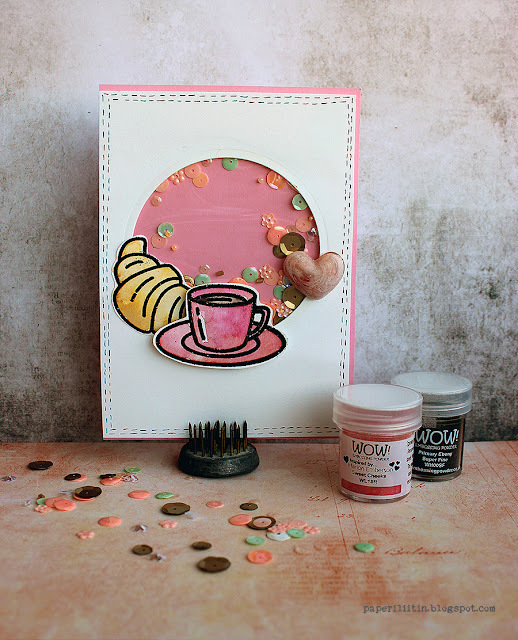 I also used the embossing powders to make the little heart embellishment using a mould. Thank you for stopping by! Have a cuppa for me!